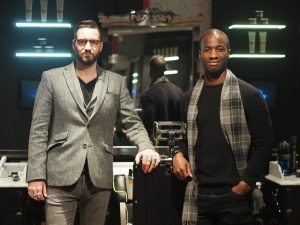 London Fashion week Men (LFWM for those down with the fashionistas) is upon us once again and as usual, it’s been quite an unintentionally busy weekend. 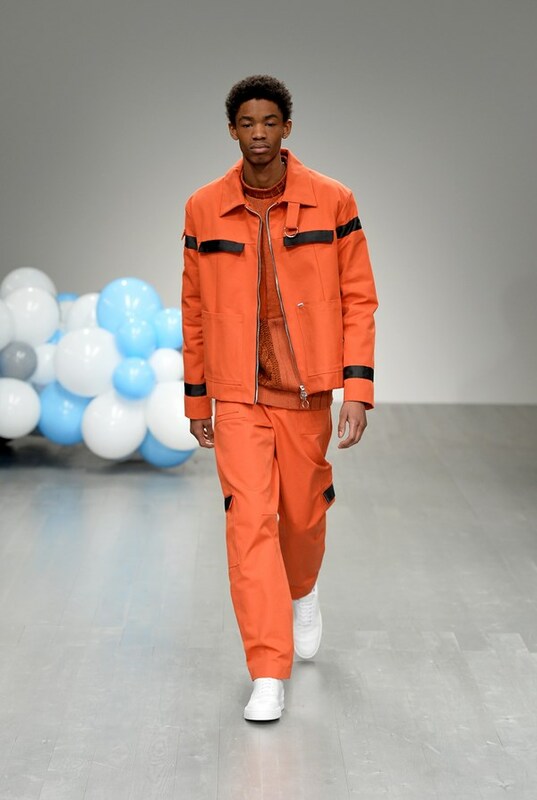 And although it saddens us that that almost all of our beloved tailoring brands were nota part of London Fashion Week Men, there were still a number of key brands over the weekend worth praising. AW18 called for a slightly different weekend of events at MTM, turning to both street photographer, as well as press man of fashion.But with the way LFWM has been going the last couple seasons (the over ambitious criteria for bloggers to enter their showrooms, as well this horrid sense of entitlement that lingers in the air) it was time to try something new. 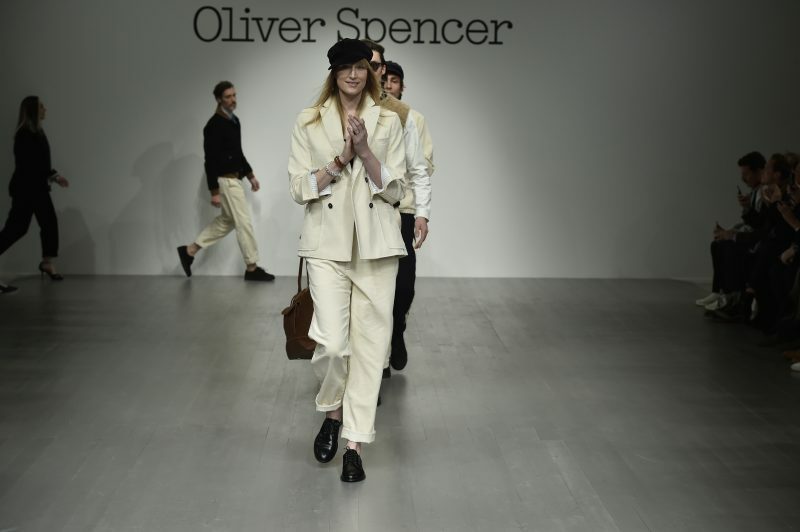 Quite safe to say that without the talented Oliver Spencer being on the roster of designers, Maketh-the-Man’s interest for London Fashion Week Men would be reduced to zero. Season upon season, we’ve sat close up to see what Oliver Spencer brings to the table and once more, he brings a smile to our faces. AW18 for Oliver Spencer ‘Love is the drug’, a salute to Bryan Ferry’s saying and a nod to the good times Roxy music and a plethora of others shared. 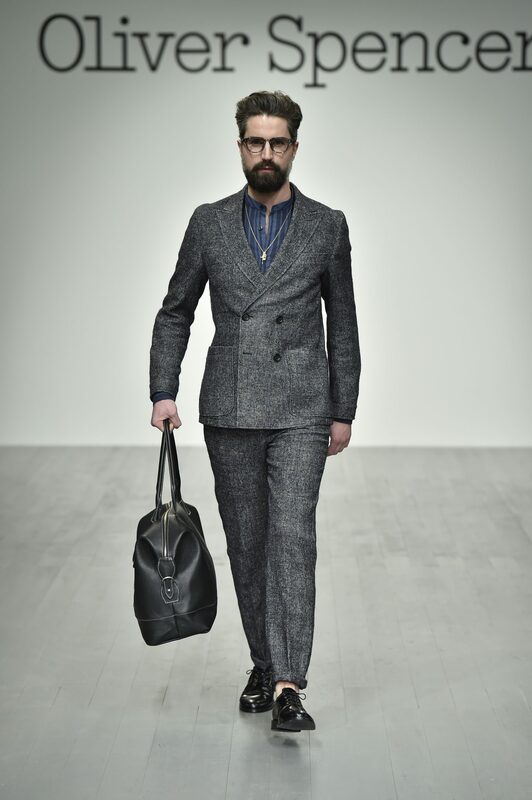 The colour palette features charcoal and grey, as well as lots of corduroy, velvet chocolate and mustard separates. We left the showrooms with a huge sense of joy, looking forward to when the new collection hits the stores. The iconic brand comes back to LFWM with another impressive performance, teaming up with the notorious designer; Henry Holland. 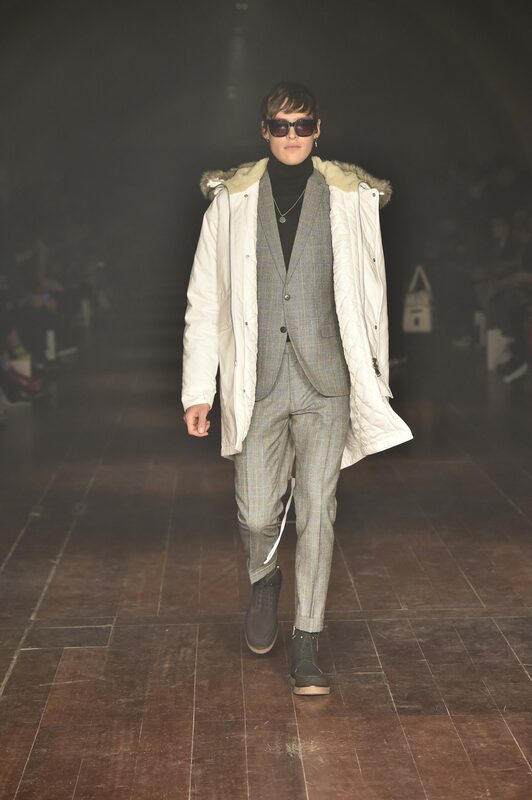 AW18 is all about the spirit of northern soul, with a collection boasting smart pieces, Harrington’s, parkas and an interesting few tracksuit sets. Not only did they have my heart with an impressive show for the many keen fashion insiders, but also really drove home that Northern soul which inspires the Ben Sherman aesthetic. Being a huge motorbike lover myself, the whole ethos behind Belstaff has inspired us for years and has continued to do so throughout the years. 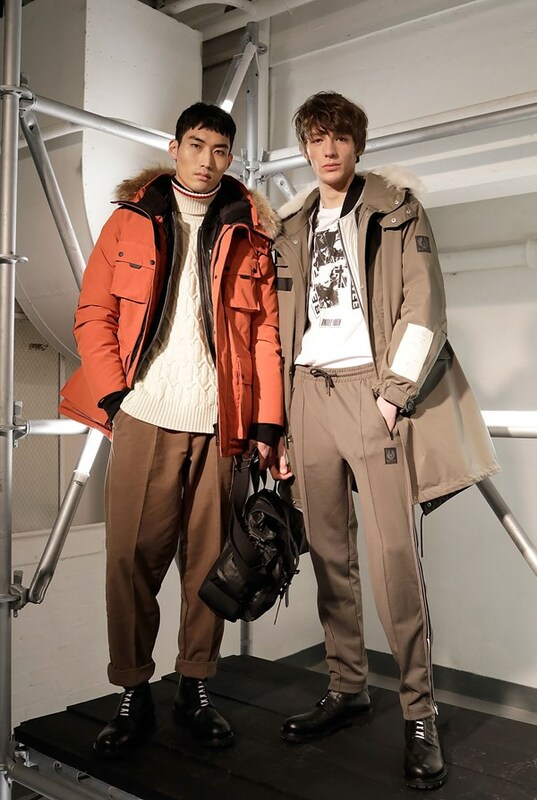 AW18 for Belstaff reminds us all what made Belstaff what it is today, whilst snapping in some of that new and innovative pieces. Retro biker jackets from all ages, branded and tagged by all who’ve owned one. This is followed by technical parkas and 4 pocket jackets, which gave me a Steve McQueen meets Mike Skinner feeling. We’ve been following the streetwear brand by Tinnie Tempah for some time now and watched its collections evolve for the better. AW18 for What We Wear is a good lick of the trends we see today in streetwear, despite the collection being a little smaller for LFWM than expected. Expect to see co-ord pieces, neoprene and some impressive jumper pieces, that remind me of the Evisu era of squiggly logo’s on statement pieces. Ignore the fact this brand is part owned by the notorious (and one of my idols) David Beckham. Let your mind go back to the very reason we all follow fashion in the first place, the sheer quality and design work. 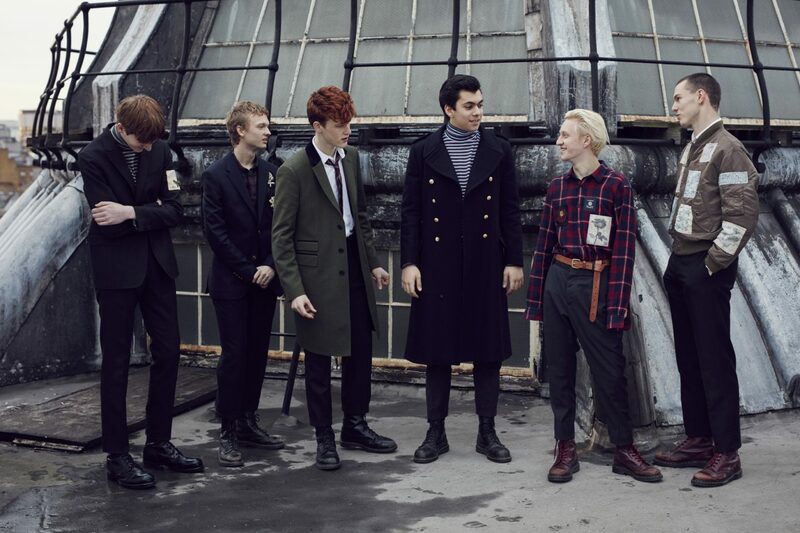 Kent & Curwen is the epitome of British heritage, quality and style that world is gasping to get their hands on. Statement rugby tops, long beautiful shearling/military coats and cricket jumpers, are all very much the heartbeat of Kent & Curwen AW18. So that’s the best AW18 collections of LFWM in a wrap, lots of new shapes and a hell of a strong mix of colours that get our seal of approval every time. Now excuse us while we save away our money, until autumn finally arrives.